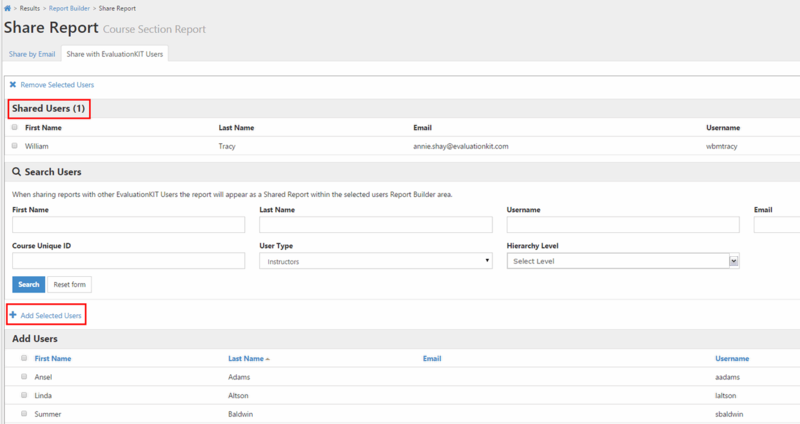 After generating your report in Report Builder, click Share. Share your report by sending an email with a link to the report. Input Subject line for Email. Enter Recipient’s Email(s). Separate multiple email addresses with a comma. 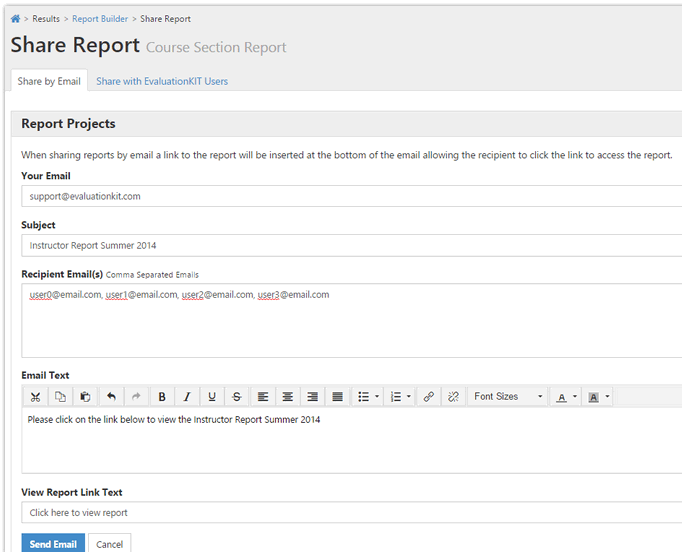 Create Text that will display as the Report Link in email. Share your report with other users in your EvaluationKIT account. Click on the Share with EvaluationKIT Users tab. Search for user by Name, Username, Email, Course Unique ID, User Type or Hierarchy Level. Select User(s) to share report. Click Share with Selected Users. These users will appear below under Report is Shared with. When users login into their EvaluationKIT account, click on Results. You can see any Shared Report under the Share column, which will display SharedS.